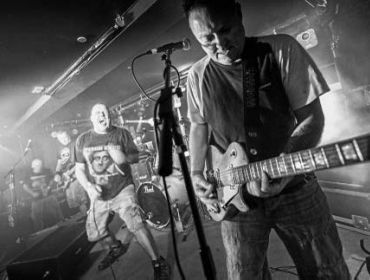 After more than 30 years, original punksters, Peter and the Test Tube Babies made their first appearance in the Valleys. A healthy and well lubricated crowd welcomed the band onstage, with Peter the lead singer grinning from ear to ear. You knew it was going to be a good night. The band launched into Moped Lads, and before you knew it favourite songs including The Jinx had been and gone. Some glorious and offensive sheep banter ensued, before the band cranked it up even higher. All the great songs played; Elvis Is Dead and Maniac were over in a flash. Run Like Hell and Banned From The Pubs getting great reactions from the crowd. A quick encore and then they were goneâ€¦just to the bar, at least. 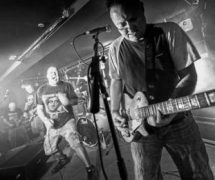 A big heads up and thank you to The Factory for keeping real music live and alive in the Valleys.